I am a major consumer of radio ever since I started remembering things. Somewhere in my early adulthood, I had some ideas about creating a radio that suits to my taste and attracts like-minded people to listen to songs and other shows. 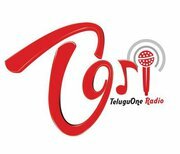 The embodiment of this vision is TeluguOne Radio on Internet, popularly known as TORi. After starting TORi with about 6000 songs in my digital database, I oversaw the database to grow to nearly 20,000 with a good 65% of them tagged with my own hands. On the first day of broadcast I remember the peak listener count to be well below 100. I remember the moment when the simultaneous listeners exceeded 100. Contrast this to an estimated 100,000 listeners TORi boasts today. The vision of community building global community has been materialized. Did you ever imagine get-togethers by consumers of something you have created? In many respects, TORi is a pioneer, a trailblazer and a mini cultural phenomenon. Today, TORi is a companion for the long drives, productive mate for the music lovers at work, and a talking friend to the bored person at home. Today, 5 1/2 years since the original launch and full 6 years since the original push to start TORi, I step back and look at TORi not only with a sense of pride but also with a sense of gratitude towards those thousands of loyal followers. I cannot thank enough the entire team – especially my fellow senior management team at ObjectInfo, Durga Prasad and the whole TORi team, sound engineers, RJs – past and present. To you, my dear TORi listener, thank you for being a friend and a loyal follower. I sincerely thank you for your patronage of TORi. And now to the news. Due to certain disagreements about the future direction of TORi, and other personal issues I expressed my interest in no longer leading the efforts at TORi. Consequently the last airing of MMGL on TORi will be on January 13, 2012. I am only walking away from TORi, but not from the spirit of a community our team had built around the concept of TORi. Yes, a reinvigorated Mohana Murali Gaana Lahari will continue after some gap. But not on TORi. Stay tuned to learn what future holds. Thanks for the wonderful telugu entertainment on Fridays and waiting for the new program Tharangam, Happy Sankranthi 2012.
really upset after seeing this news andi. but waiting for your next program update. Wish you all the best for the new MMGL!! And we all will support your new findings! The show is still on andi.. Not on TORi. Wait a few days. Nice one Bujji garu..But since the show and Mohan garu are going away, we need not worry..
You did give a real shock to me Mohan Garu. I cannot imagine how much i will miss those fridays and repeat telecasts on sundays without MMGL. 11-11-11 greetings for my daughter. Happy New year to you and your family. Surely we are going to miss you, Sir! Actually your style of RJ is different, mostly its commercial style of RJ’s on most of the radio channels. You are master of all. Anyways “change is the only constant in life”…!! Publish your new stories in FB about MMGL. When I looked at the Tori emblem on an article here, I must confess I look at teluglobe for articles with information, thought it was probably some routine announcement about Tori, but the no. of comments made me pause and take a peek and lo the bombshell! This is not to disparage any other programs on Tori, but when I tried to listen some other programs on it a couple of times I had to tune out as I didn’t find the depth or the versatility of MMGL. In my opinion MMGL is not just a songs program but a kind of edutainment program without the pain of education and an entertainment curriculum which usually leaves us feel time well spent listening to it. I have been hearing it only for the last couple of years and thanks for making the time worthwhile. I am really touched by your comments here and on facebook. Decision to walk away from TORi is not emotional. It has been vetted thoroughly and I think I know what I am doing. I have feelings for people – not for inanimate things. As far as TORi is concerned, it is just an abstract concept with real people like you behind its success. I am sure you will like what’s in store for the future. Just be patient for few days max. MMGL IS NOT GOING AWAY. IT IS COMING BACK IN MORE VIGOR. Bay Area people were suffering from Vijaya Asuri Virijallu. Now, she has entered Tori. God save Tori!!!!! I wish you all the best in your future endeavors. Its a bit shock that you’re walking out from your own brain child, but I am convinced that you must have had gone through a lot of pain and finally taking a wise step. Glad that you’re planning on continuing MMGL on other platforms, please do keep us posted when and where your next MMGL will be. If I remember it correctly, Steve Jobs also walked away from his brain child and returned to Apple several years later to give world a set of fantastic “i” products. Not sure if it would be the same case with you and Tori, but I am confident you’ll be successful in your next step. It is a shock to me the way you have suddenly announced your decision to quit Tori. I have been listening to your program from the beginning for past 6 years. I can’t imagine my Fridays without your MMGL program. I can’t wait to know more about your future plans of such excellent programs. Thank you so much for all that you have done to make Tori as part of our lives. I will surely miss MMGL until you come up with another such addictive program. right way, Question is – is there a need to rock the boat? Mohan garu this decision is not only shocking but also disheartening. For many of us you have been the face of TORi all these years. leadership but this being a radio and interactive source of entertainment like it or not there is a kind of bond be it in the form of fans, patrons, followers or non-followers. TORI according to me has been a “of the people, by the people and for the people” kind of radio. And the credit goes to you for all the creative designing.Without you, the show will go on but with turbulance. Should the listener be subject to this? and find patrons in abundance. But walking away from such a successful venture, ever growing in popularity, fame and listenership is something I find hard to comprehend. Now is the time when it needs your vision,experience and expertise. “All good things….should lead to more good things…not the end” Mohan garu. I have one simple question for you as a listener what can we, as listeners, do to keep you at TORi. Even though I know the answer may be confidential, I still wanted to ask. Cannot think of any Superlative words to express what I feel. I hate being diplomatic, but I am ending to be what I hate. Sudha Garu… You spoke my mind. After being a host on tori for a while, When I think of Tori, first thing that strikes my mind is MMV, the face of tori. MMGL is very informative. Everyone has their way of planning future. A person cannot be bound to anything. One has to try new things. I believe you are innovative and we wish to see many more creations like tori. Our best wishes are always with you Mohan Garu. Good Luck in whatever you do. Thanks a zillion for all that you gave to TORi, Mohan garu. Best wishes to you future endeavors and awaiting to know what they are. I guess the timing of it seemed like a shock to me. Here I am , after three months gap wants to post an entry on Teluglobe and I see this !!!! beuna suerta, and we shall wait. My fridays are not going to be same..you just simply took away the sheer joy, pleasure, edutainment – whatever with your decision. Nenu cinnappudu siloan radio baga vine vanni…andulo Meenakshi Ponnudurai ane oka announcer voice still haunts me. Now your voice. నిజంగా షాక్ ఇచ్చారండి. చాలా రోజుల నుంచి “ఇది జరుగుతుంది” అని ఎందుకో ఒక మూల అనిపిస్తున్నా “జగరదులే” అని సరిపెట్టేసుకున్నాము. మీ గురించి తెలిసిన, తెలుసుకున్న దానిని బట్టి మీరు ఈ నిర్ణయం ఆలోచించే తీసుకున్నారు అని ప్రగాఢ నమ్మకం ఉంది. గాన లహరి మళ్ళీ వినడానికి ఎదురు చూస్తూ ఉంటాము. Congratulations on 6 successful years. Thank you for all the entertainment provided over the years. All Good Things… Don’t have to end! CONGRATULATIONS Mohan garu for the close of a great chapter and beginning of a new more exciting chapter of your body-of-work I call “Naa Telugu Dhanam“. Amazing as this is coming from a Rookie listener of just few months. I can only imagine the plight of “Aidu veera Tallu” sangham. Mohan garu, you are the three CCCs (Concept, Creator, Content) who single handedly brought the vision, created a great team and the backbone of Tori through your hard work and finally rendered it with your tireless contributions as host which lead to an enviable loyal listener base. I am sure the lessons learned will only guarantee a great product offering to your loyal listeners as a New Year gift! I see this news as a good thing for ALL –audience, Tori team, and Business of online community radio. I say this from a business 101 point of view: 2 are better than 1, Many is better than Few when it comes to consumer choice and the quality of the product/service, creativity & competing innovations etc. etc. Further I believe 2 megaphones are better than one when it comes to recruiting/increasing the overall size of the online telugu radio community as it is not a zero-sum game. i.e., Grow the pie and aim for bigger slice. Ultimately the winner is the ardent listener who is willing to support and open their wallets and dedicate some of their disposable time to listen and participate in the programs. Loyalty and support comes from great product, and it takes lots of resources not least of which is a killer passion brought by a talented and learned team such as yours at Tori. That said, truly the only loss is not able to listen to your voice for few weeks (?) but then, we all know you and your team are working 24/7 to bring out the BEST product in a new venue. In closing I appeal all listeners to support the new venture both with their wallets and time by participating actively in the interactive shows and spreading the word to recruit new listeners to MMGL. Mighty GOOD LUCK Mohan garu and you can count on this listener’s support! Thanks for the nice words andi. You said it well. This is a gap, not a complete silence. Hope to see your new Avataar as early as possible and hope it will be more successful than Avataar movie. to be able to walk away from something that we have created,and yet do it so gracefully,shows a sense of character,of values.All the best,mohan,sir. Very very sad news for Tori. However, as a listener or should i say follower of MMGL, i am happy that i can still listen to MMGL. I listen just to MMGL on TORI so not a big deal to me.